Chebotar, M.; Ke, W.-F. On differential polynomial rings over nil algebras. Revista Matemática Iberoamericana, to appear. Boykett, T.; Ke, W.-F.; Meyer, J. On invertible matrices over a near-field. 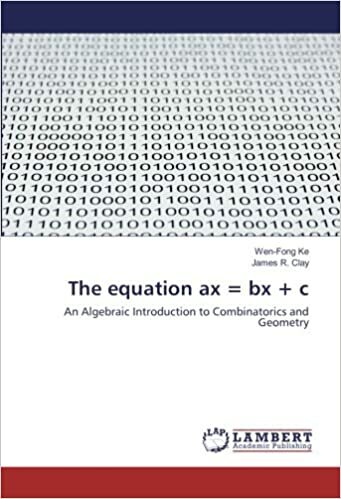 J. Algebra 526 (2019), 345--355. Chebotar, M.; Ke, W.-F.; Lee, P.-H.; Puczylowski, E. R. On polynomial rings over nil rings in several variables and the central closure of prime nil rings. Israel Journal of Mathematics 223 (2018), 309--322. Chebotar, M.; Ke, W.-F.; Lee, P.-H.; Puczylowski, E. R. Prime rings whose central closure is finitely generated. J. Algebra 488 (2017), 282--289. Ke, W.-F. Planar nearrings: ten years after. in Kuncham Syam Prasad, et al (eds), Nearrings, Nearfields and Related Topics, pp. 16--25. World Scientific 2016. Ke, Wen-Fong; Lai, King-Fai; Lee, Tsung-Lin; Wong, Ngai-Ching. Random Toeplitz Operators and eigenvalue distribution. Journal of Nonlinear and Convex Analysis 17 (2016), 1717--1728. Ke, Wen-Fong; Lai, King-Fai; Lee, Tsung-Lin; Wong, Ngai-Ching. Preconditioning Random Toeplitz Systems. Journal of Nonlinear and Convex Analysis 17 (2016), 757--770. Ke, Wen-Fong; Kiechle, Hubert; Pilz, Günter F.; Wendt, Gerhard. Semi-homogeneous maps, Contemporary Mathematics 658, Amer. Math. Soc., Providence, RI, 2016, pp. 187--196. Ke, Wen-Fong; Kiechle, Hubert; Pilz, Günter F.; Wendt, Gerhard. Planar nearrings on the Euclidean plane. Journal of Geometry 105 (2014), 577--599. Ke, Wen-Fong; Lai, King-Fai. Ferrero Categories. Mathematica Pannonica, 24/2 (2013), 303--316. Chebotar, Mikhail A.; Ke, Wen-Fong; Lee, Pjek-Hwee; Puczyłowski, Edmund R. A linear algebra approach to Koethe's problem and related questions. Linear and Multilinear Algebra 61 (2013), 635--645. Ke, Wen-Fong; Meyer, Johan Matrix near-rings and 0-primitivity. Monatshefte für Mathematik 165 (2012), 353--363. Ke, Wen-Fong; Lai, Kingfai; Zhang, Ruibin Quantum codes from Hadamard matrices. Linear and Multilinear Algebra 58 (2010), 847--854. Ke, Wen-Fong; Pilz, Günter F. Abstract algebra in statistics. Journal of Algebraic Statistics 1 (2010), 6--12. Ke, Wen-Fong; Meyer, Johan H.; Wendt, Gerhard. Matrix maps over planar near-rings. Proceedings of the Royal Society of Edinburgh: Section A Mathematics 140 (2010), 83--99. Huang, Po-Yi; Ke, Wen-Fong; Pilz, Günter F. The cardinality of some symmetric differences. Proceedings of the American Mathematical Society 138 (2010), 787--797. Talk Slides. Chebotar, Mikhail A.; Ke, Wen-Fong; Lomonosov, Victor. Transitivity of Jordan algebras of linear operators: on two questions by Grünenfelder, Omladi\v c and Radjavi. Integral Equations and Operator Theory 62 (2008), 579–584. Chebotar, Mikhail A.; Ke, Wen-Fong; Lee, Pjek-Hwee; Puczyłowski, Edmund R. A note on polynomial rings over nil rings. In T. Brzezinski, et al (eds. ), Modules and Comodules. (Proceedings of the International Conference on Modules and Comodules held in Porto 2006.) Birkhäuser 2008, 169–172. Chebotar, Mikhail A.; Ke, Wen-Fong; Lee, Pjek-Hwee. L-prime rings need not be primary. Communications in Algebra 36 (2008), 893–904. Beidar, K. I.; Ke, W.-F.; Kiechle, H. Automorphisms of certain design groups II. Journal of Algebra 313 (2007), 672–686. Chebotar, M. A.; Ke, W.-F.; Lee, P.-H. On Bresar-Semrl conjecture and derivations of Banach algebras. The Quarterly Journal of Mathematics 57 (2006), 469–478. Chebotar, M. A.; Ke, W.-F.; Lee, P.-H.; Zhang, R. B. On maps preserving zero Jordan products. Monatshefte für Mathematik 149 (2006), 91–101. Beidar, K. I.; Chebotar, M.; Fong, Y.; Ke, W.-F. On certain power-associative, Lie-admissible subalgebras of matrix algebras. Journal of Mathematical Sciences 131 (2005), 5939–5947. Chebotar, M.; Ke, W.-F.; Lee, P.-H. Maps preserving zero Jordan products on Hermitian operators. Illinois Journal of Mathematics 49 (2005), 445–452. Ke, W.-F. On recent developments of planar nearrings. In H. Kiechle, et al (eds. ), Nearrings and nearfields. (Proceedings of the conference on nearrings and nearfields, Hamburg, Germany, July 27—August 3, 2003.) Springer 2005, 3–23. Chebotar, M.; Ke, W.-F.; Lee, P.-H. On maps preserving square-zero matrices. Journal of Algebra 289 (2005), 421–445. Beidar, K. I.; Ke, W.-F.; Kiechle, H. Circularity of finite groups without fixed points. Monatshefte für Mathematik 144 (2005), 265–273. Beidar, K. I.; Ke, W.-F.; Puczyłowski, E. R. On matrix rings and subhereditary radicals. Communications in Algebra 32 (2004), 2827–2839. Chebotar, M.; Ke, W.-F.; Lee, P.-H. Maps characterized by action on zero products. Pacific Journal of Mathematics 216 (2004), 217–228. Ke, W.-F.; Li, B.-R.; Wong, N.-C. Zero product preserving maps of continuous operator-valued functions. Proceedings of the American Mathematical Society 132 (2004), 1979–1985. Bokut, L. A.; Fong, Y.; Ke, W.-F. Composition-diamond lemma for associative conformal algebras. Journal of Algebra 272 (2004), 739–774. Bokut, L. A.; Fong, Y.; Ke, W.-F.; Shiao, L.-S. Grobner-Shirshov bases for the braid semigroup. Advances in algebra, 60–72, World Sci. Publishing, River Edge, NJ, 2003. Chebotar, M.; Ke, W.-F. On Skew-Symmetric Maps on Lie Algebras. Proceedings of the Royal Society of Edinburgh 133A (2003), 1273–1281. Beidar, K. I.; Ke, W.-F.; Liu, C.-H.; Wu, W.-R. Automorphism groups of certain simple 2-(q,3,λ) designs constructed from finite fields. Finite Fields Appl. 9 (2003), 400–412. Chebotar, M.; Ke, W.-F. On bi-additive maps of some Lie algebras. Russ. Math. Surv. 58 (2003), 183–184. Chebotar, M. A.; Ke, W.-F.; Lee, P.-H.; Wong, N.-C. Mappings preserving zero products. Studia Math. 155 (2003), no. 1, 77–94. Beidar, K. I.; Chen, T.-S.; Fong, Y.; Ke, W.-F. On graded polynomial identities with an antiautomorphism. Journal of Algebra 256 (2002), no. 2, 542–555. Beidar, K. I.; Fong, Y.; Ke, W.-F. Maximal right nearring of quotients and semigroup generalized polynomial identity. Results Math. 42 (2002), no. 1—2, 12–27. Beidar, K. I.; Ke, W.-F. On essential extensions of direct sums of injective modules. Archiv der Mathematik 78 (2002), no. 2, 120–123. Beidar, K. I.; Ke, W.-F.; Puczyłowski, E. R. On subhereditary radicals and reduced rings. Proceedings of the Royal Society Edinburgh 132A (2002), 255–266. Beidar, K. I.; Ke, Wen-Fong; Liu, Chia-Hsin. On nil subsemigroups of rings with group identities. Comm. Algebra 30 (2002), no. 1, 347–352. Beidar, K. I.; Fong, Y.; Ke, W.-F.; Jain, S. K. An example of a right $q$-ring. Israel J. Math. 127 (2002), 303–316. Bokut, L. A.; Fong, Y.; Ke, W.-F. Gröbner-Shirshov bases and composition lemma for associative conformal algebras: an example. Combinatorial and computational algebra (Hong Kong, 1999), pp. 63–90, Contemp. Math. 264, Amer. Math. Soc., Providence, RI, 2000. Fong, Y.; Ke, W.-F.; Wang, C.-S. Nonexistence of derivations on transformation near-rings. Comm. Algebra 28 (2000), no. 3, 1423–1428. Fong, Y.; Ke, W.-F.; Huang, F.-K.; Yeh, Y.-N. On semi-endomorphism of abelian groups. Near-rings and near-fields (Stellenbosch, 1997), pp. 72–78, Kluwer Acad. Publ., Dordrecht, 2001. Beidar, K.I. ; Fong, Y.; Ke, W.-F.; Lee, C.-H. Posner's theorem for generalized (α, τ)-derivations. In Fong, Yuen (ed.) et al., Lie algebras, rings and related topics, pp. 5–12. Springer, Hong Kong, 2000. Beidar, K. I.; Fong, Y.; Ke, W.-F.; Wu, W.-R. On semi-endomorphisms of groups. Comm. Algebra 27 (1999), no. 5, 2193–2205. Beidar, K. I.; Fong, Y.; Ke, W.-F. On complemented radicals. J. Algebra 201 (1998), no. 1, 328–356. Beidar, K. I.; Fong, Y.; Ke, W.-F. On the simplicity of centralizer nearrings. First International Tainan-Moscow Algebra Workshop (Tainan, 1994), pp. 139–146, de Gruyter, Berlin, 1996. Bouchard, P.; Fong, Y.; Ke, W.-F.; Yeh, Y.-N. Counting f such that $f\circ g = g\circ f$. Results Math. 31 (1997), no. 1-2, 14–27. Beidar, K.; Fong, Y.; Ke, W.-F. On finite circular planar nearrings. J. Algebra 185 (1996), no. 3, 688–709. Fong, Y.; Ke, W.-F.; Wang, C.-S. Syntactic nearrings. Near-rings and near-fields (Fredericton, NB, 1993), pp. 133–139, Math. Appl. 336, Kluwer Acad. Publ., Dordrecht, 1995. Ke, Wen-Fong; Kiechle, Hubert. Combinatorial properties of ring generated circular planar nearrings. J. Combin. Theory Ser. A 73 (1996), no. 2, 286–301. Fong, Yuen; Ke, Wen-Fong; Lee, Ting-Tsung. On weakly syntactic near-rings. International Mathematics Conference '94 (Kaohsiung, 1994), 77–82, World Sci. Publishing, River Edge, NJ, 1996. Ke, Wen-Fong; Kiechle, Hubert. Characterization of some finite Ferrero pairs. Near-rings and near-fields (Fredericton, NB), 1993, pp. 153–160, Math. Appl. 336, Kluwer Acad. Publ., Dordrecht, 1995. Fong, Y.; Kaarli, K.; Ke, W.-F. On minimal varieties of near-rings. Near-rings and near-fields (Fredericton, NB, 1993), pp. 123–131, Math. Appl. 336, Kluwer Acad. Publ., Dordrecht, 1995. Fong, Y.; Huang, F. K.; Ke, W. F. On minimal generating sets of the endomorphism near-rings of the dihedral groups $D_n$ with even $n$. Results Math. 28 (1995), no. 1-2, 53–62. Fong, Yuen; Kaarli, Kalle; Ke, Wen-Fong. On arithmetical varieties of near-rings. Arch. Math. (Basel) 64 (1995), no. 5, 385–392. Beidar, K.; Fong, Y.; Ke, W.-F.; Liang, S.-Y. Nearring multiplications on groups. Comm. Algebra 23 (1995), no. 3, 999–1015. Fong, Y.; Ke, W. F. On the minimal generating sets of the endomorphism near-rings of the dihedral groups $D_n$ with odd $n$. Near-rings and near-fields (Oberwolfach, 1989), pp. 64–67, Math. Forschungsinst. Oberwolfach, Schwarzwald, 1995. Ke, Wen-Fong; Kiechle, Hubert. On the solutions of the equation $x^n+y^n-z^n=1$ in a finite field. Proc. Amer. Math. Soc. 123 (1995), no. 5, 1331–1339. Ke, Wen-Fong; Kiechle, Hubert. Automorphisms of certain design groups. J. Algebra 167 (1994), no. 2, 488–500. Ke, Wen-Fong. On nonisomorphic BIBD with identical parameters. Combinatorics '90 (Gaeta, 1990), pp. 337–346, Ann. Discrete Math. 52, North-Holland, Amsterdam, 1992. Fong, Y.; Huang, F. K.; Ke, W. F. Syntactic near-rings associated with group semiautomata. Pure Math. Appl. Ser. A 2 (1992), no. 3-4, 187–204. Ke, W.-F.; Wang, K. S. On the Frobenius groups with kernel of order 64. Contributions to general algebra 7 (Vienna, 1990), pp. 221—233, Hölder-Pichler-Tempsky, Vienna, 1991. Ke, Wen-Fong. On derivations of prime rings of characteristic 2. Chinese J. Math. 13 (1985), no. 4, 273–290.